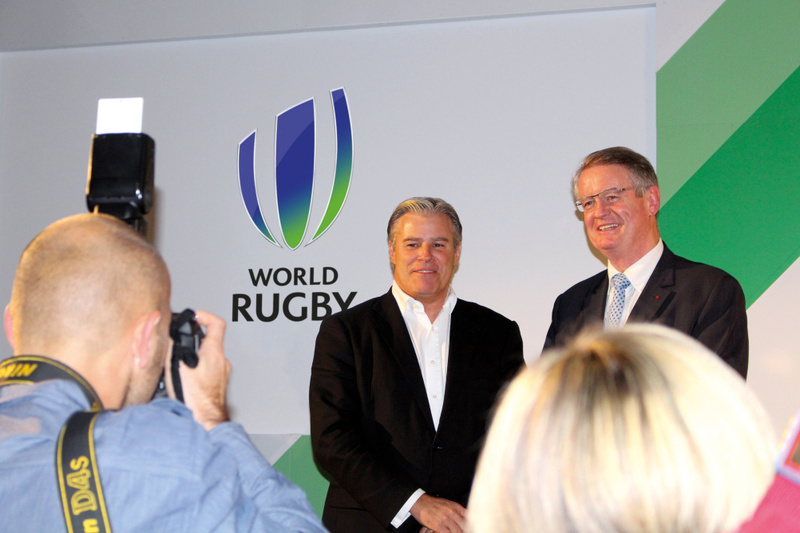 The International Rugby Board, the governing body for rugby union, has rebranded as World Rugby, with a new identity created by Futurebrand. The new identity sees the previous rugby ball logo replaced with a stylised “W”, while keeping the blue and green colour scheme from the outgoing identity. The new branding is launching ahead of the 2015 Rugby World Cup, which will be held in England, and make its debut on players’ shirts during the autumn international matches this weekend. World Rugby says the rebrand will have no impact on the Rugby World Cup branding and positioning however. Global rugby participation has grown by more than 2 million to 6.6 million players over the past four years, according to World Rugby, while the sport is set to make its Olympic debut with rugby sevens being played at the Rio 2016 Games. Not feeling this at all. The gradient between the green and the blue is awful. Its become a very overused system within an identity these days and this one is a very bad example. i agree. it is awful. do not achieved what was said in the article. feels like ‘design by committee’. and good luck with small and/or one color applications. In my opinion the identity feels incomplete and needs further refinement. If, as it states in the write up, the design is meant to be a stylised ‘W’ then why is the bottom not connected? If you are going to make a connection like that then make it stronger. Make it look like a ‘W’. I agree with the comments about the gradient it feels washy and appears dated. The typeface would be ok but for the ‘w’ which feels disconnected as a result of the angled edges to the bottom. The idea is good but the execution poor.